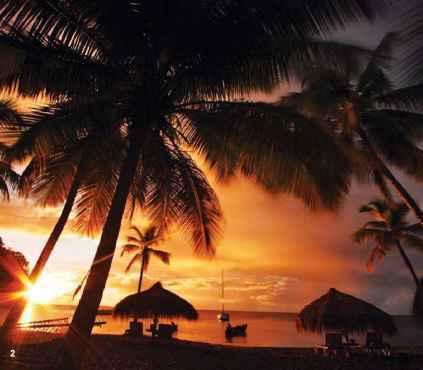 Anse Chastanet is in one of the most scenic settings the Caribbean has to offer. The picture-postcard-perfect views of the famous World Heritage landmark, the twin Piton mountains, are just one of the many compelling reasons to stay here. Nestled amidst a 600-acre tropical estate with two soft sand beaches bordering on pristine coral reefs, Anse Chastanet is in complete harmony with its natural surroundings and right in the heart of the island's marine reserves. Anse Chastanet enjoys a unique hillside-beachside location with 49 individually designed rooms and 24 spectacular Infinity Suites — each with its own vanishing-edge pool — located on the very top of the property. Facilities include two restaurants and bars serving tropical world cuisine created by a team of award-winning chefs, the Kai Belte spa, a mountain-bike facility with 12 miles of trails, kayaking center, 42-foot sailing yacht, boutiques, library and art gallery. 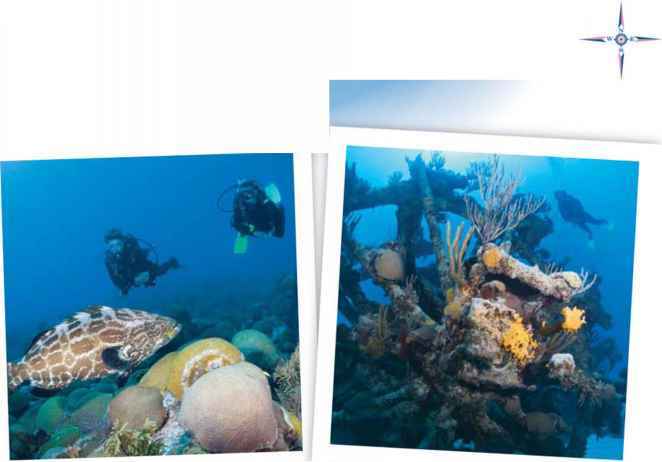 The resort diving operation Scuba St. Lucia caters to beginners and experienced divers alike. Nitrox is available. Beach, boat, wall and wreck diving are all offered. 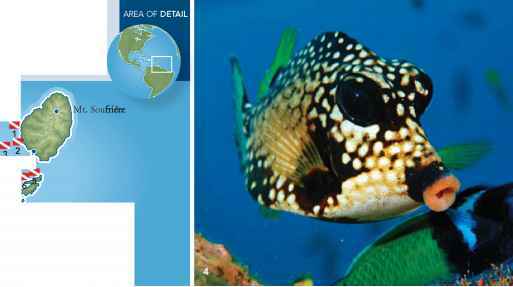 The night dives right on the Anse Chas-tanet reef are a highlight for any diver. Look for The Thing! 1. A Premium Hillside room with its picture-postcard view. 2. The beauty of the Caribbean at your doorstep. 3. 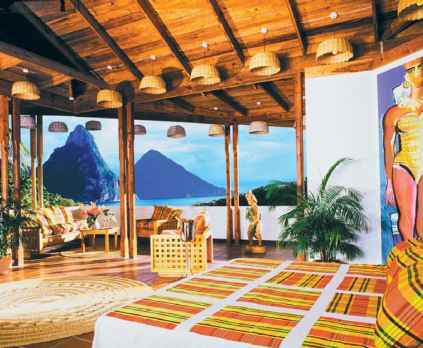 An Infinity Pool Suite at Jade Mountain, Anse Chastanet's resort-within-a-resort. 4. Seahorses: not mythical, but plentiful. 5. 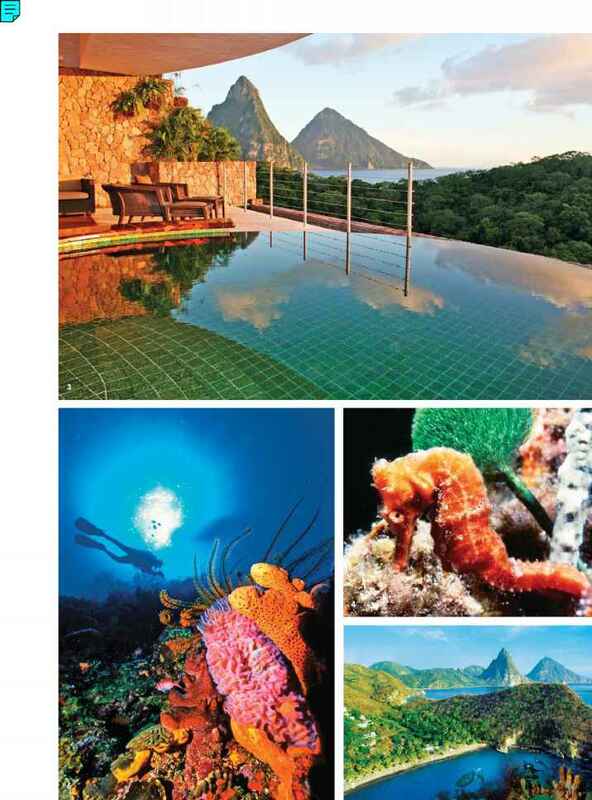 Many consider St. Lucia the Caribbean's most beautiful island. 3. Diving on Anse Chastanet reef. OUT 1. A hermit crab. 2. Anchorage at Young Island. 3. Brown tube sponges on a Bequia drift dive. 4. A smooth trunk-fish puckers up. Wondering where to find that wonderful, cliff-shored, waterfall-festooned, sandy-beached tropical island that you saw in Disney's Pirates of the Caribbean movies? Well, this is one case where you won't need a treasure map. The location was St. Vincent and the Grenadines, where the natural beauty of St. Vincent, Bequia and other islands made it easy for filmmakers to simulate a 200-year trip back in time. AVERAGE WATER TEMP: 80°F WHAT TO WEAR: 1.5-3 mm shorty or fullsuit. AVERAGE VIZ: 70-100 feet WHEN TO GO: Year-round, but December-April is high season for resorts and hotels. WHAT TO EXPECT: Wrecks and reefs, with plenty of boat and shore dives in water so blue it has to be seen to be believed. For trips through the lower Grenadines, a live-aboard is often the way many travelers choose to go. LANGUAGE: English. TAXES: 10 percent occupancy tax. ELECTRICITY: 220V, 50 cycle; carry a convertor. TIME ZONE: Atlantic Standard Time (Eastern Standard Time plus one hour). the challenge of an extended cavern experience. 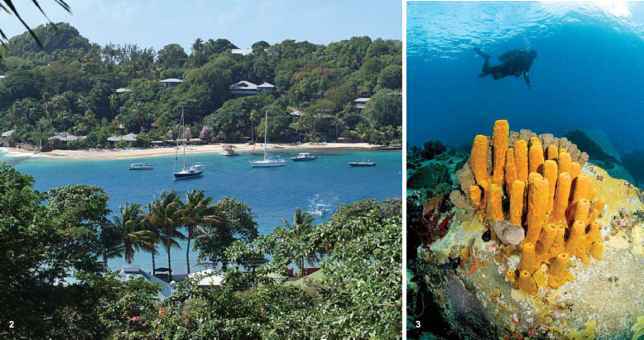 Around Bequia, drift-diving tends to be the rule, and you might find yourself swimming with nurse sharks and eagle rays in beautiful settings like the appropriately named "Cathedral." But be sure to look for the smaller stuff as well — scorpionfish, garden eels, frogfish and seahorses all make regular appearances here. When you're not underwater, you might want to be on the water here; St. Vincent and the Grenadines are one of the Caribbean's foremost sailing grounds. And after you've had your fill of blue adventures, you can try some green ones: eco-activities here include hiking to the volcanoes and waterfalls and enjoying country that looks much as it did before Columbus ever set eyes on these islands.